Community hairdresser free, totally free. 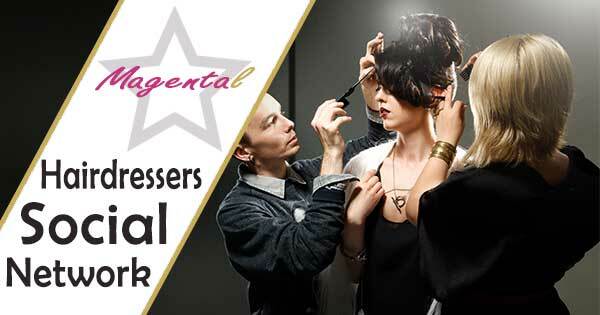 We are happy to present magental, the largest community of hairdressers free, it is not a dream, is pure truth, all this is free. How can we serve these parrcchieri and services for customers of hairdressing salons for free? The answer is simple, we do subsidize from major brands of fashion and beauty, as sellers of houses or hair products for hairdressers, such as L'Oreal, Kerastase, Frank Provost, to provide all our services web compeltamente free, as our forum for hairdressers and amateurs, the inclusion of creations of hairdressers with its portfolio, the insertion of free advertisements, such as jobs, the sale of immovable, the search for a model. So if you are happy with our services free of charge and you are a hairdresser, not hesitated and click on the links of the sponsors, where you expect multiple offers for the purchase of products for hair and beauty products.